Please contact Linda Ford (lindaf@bookweb.org) to reserve a place in a Kids’ White Box mailing. There is no fee for Associate Member publishers and their distribution clients. Members of The Independent Book Publishers Association (IBPA), The Association of Publishers for Special Sales (APSS), or the Community of Literary Magazines and Presses (CLMP), may participate at the reduced rate of $100 per title. 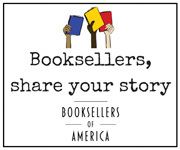 Please contact Peter Reynolds at peter@bookweb.org to arrange payment and schedule listings. Self-published authors are able to participate in Advance Access for the fee of $175 per title, provided that the title will be readily available for booksellers to order from wholesalers. ABA reserves the right to review titles submitted for Advance Access, and will not include titles with limited availability. Self-published authors, please provide the name(s) of the wholesaler(s) the book is distributed by.